This one is for the seekers. 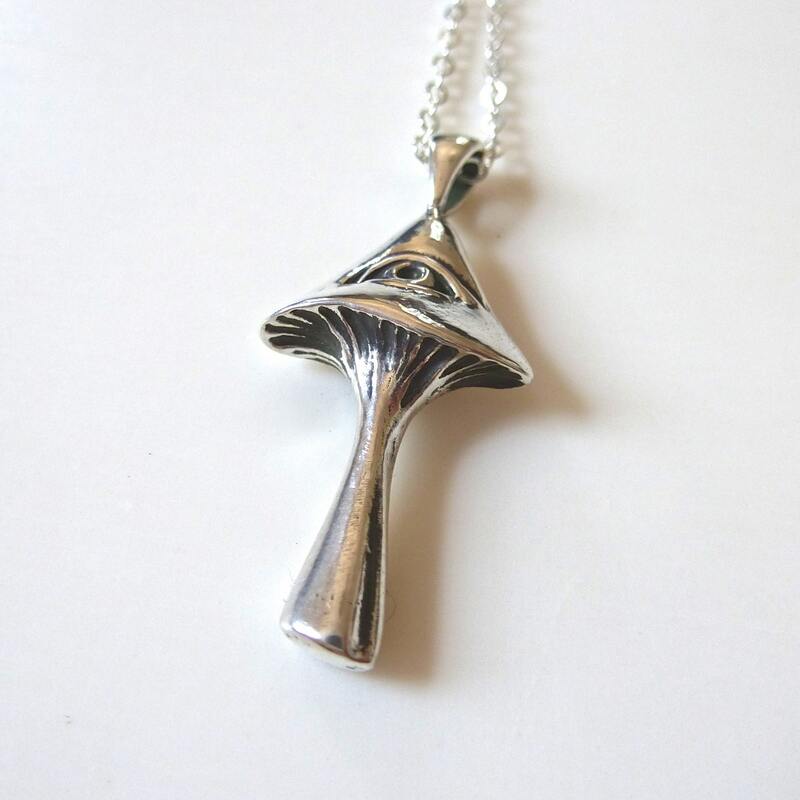 All seeing magic mushroom necklace in sterling silver. 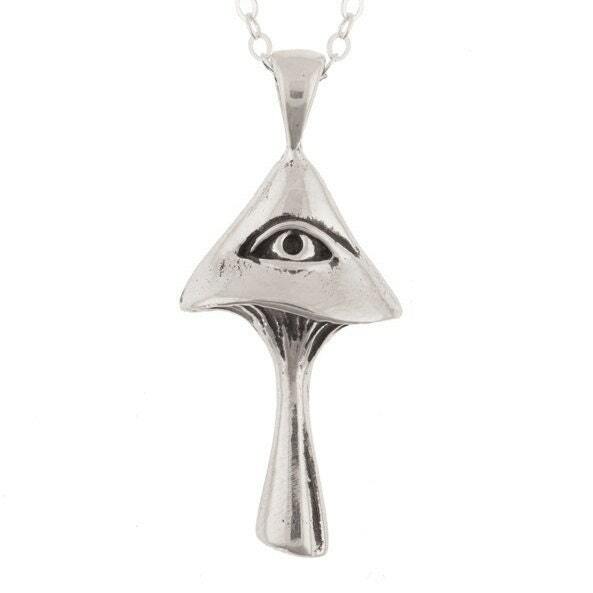 I carved this piece in wax and cast it in solid sterling. Check out the gills and eye details. 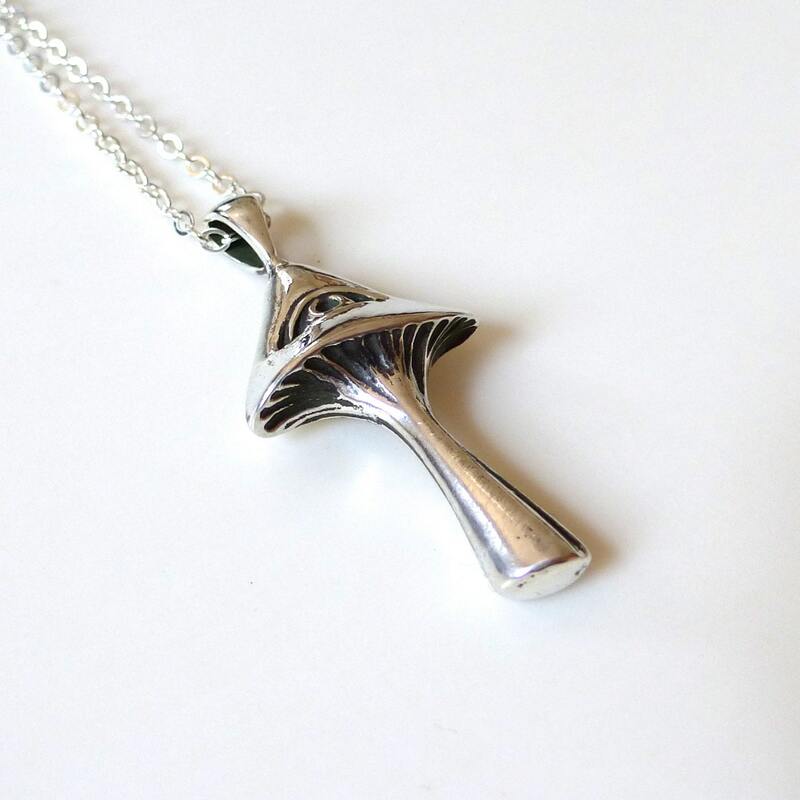 The piece has been oxidized and high polished for maximum detail. Measurements are 34mm tall by 15mm wide and 5mm thick. 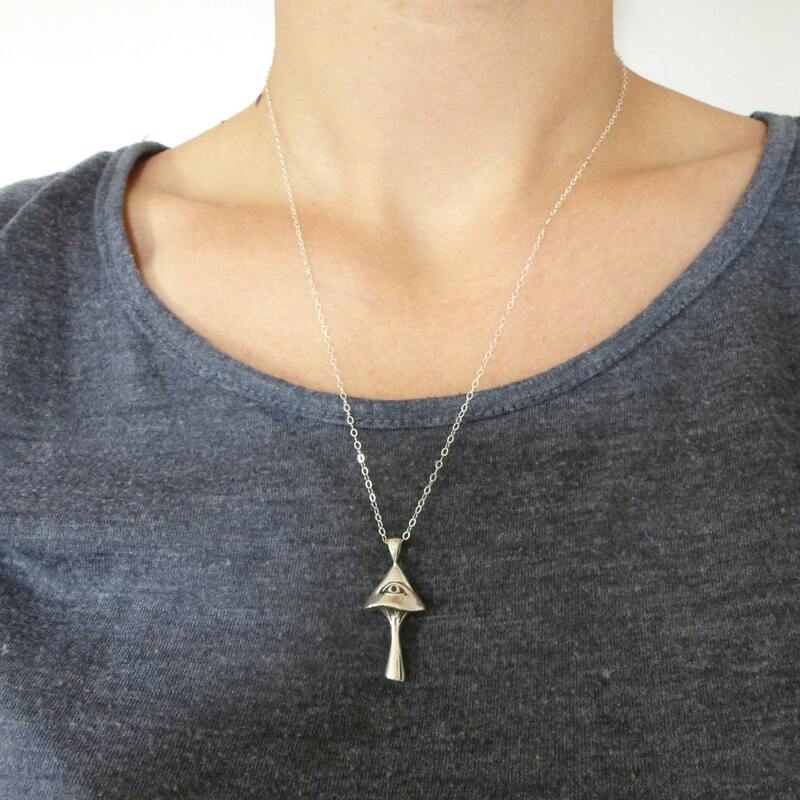 Comes with a silver cable chain in your choice of length. I love it! It's very well made and it looks amazing. A beautiful hand crafted piece!